The producer and DJ of electronic dance music known as Houz’mon has presented his latest compilation album, “Evolutions.” The full-length album has been proudly published on the Orchid Records independent record label outside the reach of the corporate music industry. 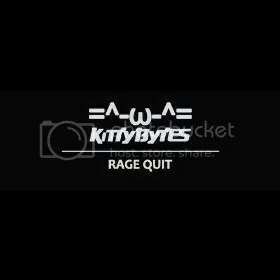 It contains 14 original house music tracks for an approximate total listening time of 80 minutes, making for an extensive and widely varied treatment of dance music for fans of EDM, house, and electronica alike. Houz’mon, who has been performing and producing music since the 1980s in Chicago, has bedecked his latest album, “Evolution,” with a bevy of musical geniuses. 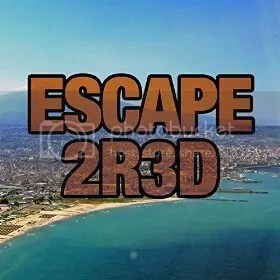 These include such prominent names as (in order of appearance) Cei Bei, Big Fire, DJ Sound, Ten City, Traxman, Howard McConnell, Funky J, and of course the master of ceremonies, Houz’mon himself. Houz’mon has performed over the last three decades under several monikers by which he is well known in the house music underground, including Houzmon, Rickki Q Houz and Slick Master Rick (not to be confused with NYC rapper Slick Rick). He is credited with founding the subgenre of electronic music known as ghetto house, which he attained by blending house music sounds with elements of techno at the popular Factory Nite Club on Chicago’s west side. Several successful singles have helped build Houz’mon’s loyal throng of fans, such as “Acids Warp,” “Fear the World,” “Pack It Up,” “Com Mo Ya,” and “101.” Additional album releases by Houz’mon include “The HouzMon EP,” “The Rebirth of Houz EP,” “The Resurrection EP” and “The Mind of HouzMon.” He has published music on an impressive spread of music labels including Beat Boy Records, DJ International, Dance Mania, Trax Records, Hard West Ent., Pro-Jex, Dirty Musik Records, Underground Housemuzic Records, Ego Plastix, Fresca Recordings, and his own Orchid Records. Houz’mon has appeared on movie soundtracks and is featured in the dance-music documentary, “The History of House Music.” He has performed live around the world at far-flung locales such as Chicago, St. Louis, Denver, Michigan, Wisconsin, France, London, Germany, Scotland, Japan, Amsterdam, and still others. 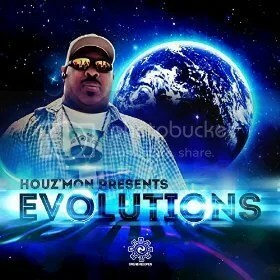 Houz’mon Presents “Evolutions” is available online worldwide. 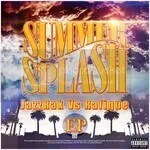 The DJs and producers of house music known as JazzRak Vs Rafique have released their latest EP album, “Summer Splash.” The EP is composed of six original tracks for an approximate total listening time of 40 minutes. 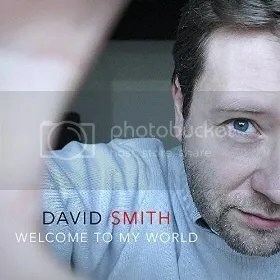 This comprehensive length means that though the album has been officially billed has an EP record for its relatively few number of tracks, fans of JazzRak Vs Rafique will get the same amount of music on “Summer Splash” as they do from a full-length album, making for a roundly comprehensive dance experience from these popular EDM artists. “Summer Splash” comes with some of JazzRak Vs Rafique’s most energetic and uplifting house music tracks of 2015 so far, including “Let’s Dance,” “Trip to Paris,” “Alive,” two renditions of their “We Are One” single featuring the talents of Anthony Poteat, and the album’s title track, “Summer Splash,” which opens up the record. The “Summer Splash” EP is the first of two albums expected to drop from JazzRak Vs Rafique this 2015 season, the second of which, titled “Day Dreamer,” will be published in coming days. JazzRak Vs Rafique cite as main artistic influences such giants of the electronic dance music scene as Avicii, Basto and Chymamusique. Their own sound doesn’t fall far from these trees, and fans of such other artists as David Guetta, Calvin Harris and Tiesto are sure to be excited by “Summer Splash” by JazzRak Vs Rafique. Speaking of the beginning of their collaboration, which takes the form of professional and friendly competition in their “Vs” series, JazzRak writes, “I used to only listen to music, then I met Rafique in 2010. We started to download videos on youtube to see how to produce music.” The rest, as listeners can attest, is history. “Summer Splash” by JazzRak and Rafique is available online worldwide.